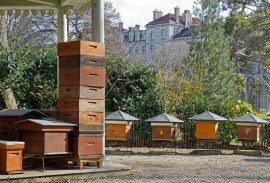 Strange red honey began to show up in the hives of New York City beekeepers in the summer of 2010. At first, many beekeepers thought the bees had foraged a new plant like sumac, but after they kept finding the red honey in their hives, they had a few samples tested. It turns out the bees’ red honey was filled with Red Dye No. 40. Instead of foraging flowers, the bees were collecting sugar syrup from a Maraschino cherry factory in Brooklyn. This struck a chord with people already concerned about the health of bees, since they have already been hit with several challenges affecting their populations from parasitic mites to neonicotinoid pesticides. This “red dye” honey now has some asking questions: could this be another sign of bee decline? Could artificial flavor and chemicals in human foods be toxic to bees? Could humans themselves be at risk from consuming this local honey? Oxford researchers, oddly enough, turned to ants to find an answer. In New York City, there are 2,000 ants for every one person—of which there are 8.9 million in New York. How do these insects survive? Instead of feeding on natural foods and prey, ants have switched over to more human foods. 250 million tons of food are thrown out in cities each year, and this provides a major food source for urban animals. A lot of food, such as this, is consumed by ants. The question of whether or not this is safe for bees is another major question. Few serious investigations have been carried out about the diet of urban bees. 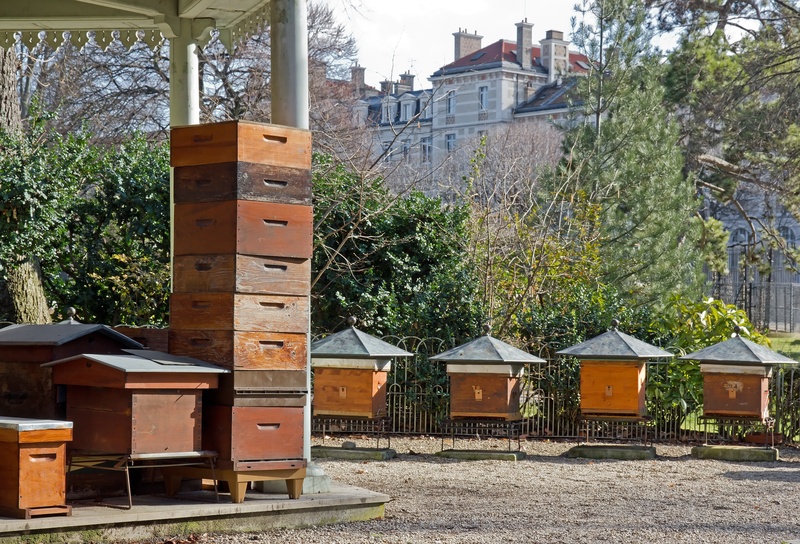 City ordinances have changed to allow urban beekeeping, so it has become increasingly popular. Despite the growing urban interest in bees, there is no a clear answer as to whether bees are sticking to flowers or finding new sources in the city. Using the same study of ants, the Oxford researchers began looking into bee diets in Raleigh, North Carolina. They were easy to determine because human produced sugars have characteristic carbon isotope signatures that differ from natural nectar. If bees were feeding on human food sources, the researchers would be able to tell from the isotopes. In Raleigh, no difference in the isotopes was found—the bees fed from the nectar of flowers and largely avoided human food sugars. This is good news for urban beekeepers and local honey buyers, and it also shows how important a flower’s role is in a city. In the future, the Oxford researchers plan to find out if they can sustain their hives on local flowers, so they won’t have to get their sugar sources from man-made materials.